As anti-theft technology features on vehicles have made it tougher to steal vehicles surreptitiously, some auto thieves have themselves turned to high-tech solutions. However, a great deal more are simply reverting to the old-fashioned method: Carjacking. Carjacking in Florida is the means of taking a motor vehicle away from the custody of another person with the use of violence, force, assault or threat. 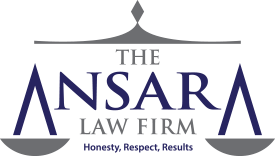 It’s been the experience of our Fort Lauderdale carjacking defense lawyers at The Law Offices of Richard Ansara that most carjacking suspects are charged with a first-degree felony because they used a firearm or deadly weapon in the commission of the crime. The maximum penalty for this is life in prison. There is also the potential for application of Florida’s 10/20/Life Firearm Enhancement, which could mean decades-long minimum mandatory penalties and/or a mandatory life sentence for conviction. The gravity of this charge cannot be understated. It’s imperative for suspects in these cases to consult with a skilled legal defense team. And in the course of the taking, using force, violence, assault or threat. The vast majority of these cases occur in high-density, urban and suburban areas. However, it’s been more than a dozen years since the latest comprehensive study of carjacking in the U.S. In 2004, The National Crime Victimization Survey indicated about 34,000 carjacking incidents occurred annually between 1993 and 2002. In almost three-fourths of those cases, the perpetrator used a gun, and nearly half of the victims in these cases suffered some type of injury. Although carjacking is just one type of auto theft, it’s a form that may be gaining traction. That’s because while hot-wiring a high-tech car may be impossible, thieves can successfully make off with a vehicle while it’s still running. The Federal Anti-Car Theft Act of 1992 was birthed because of a sharp rise in carjackings in the late 1980s and early 1990s. The statute makes carjacking a federal offense in some cases. Specifically, the law makes it a federal offense to use a gun to take a motor vehicle that has been transported, shopped or received in interstate or foreign commerce from the person or presence of another by force, violence or intimidation. Interestingly, the very first carjacking case to be prosecuted under the federal law was from Florida. Carjacking is considered a first-degree felony, and it’s also a Level 7 offense. In layman’s terms, that means the consequences are going to be very significant, even for a first-time offender with no prior criminal history. A judge who convicts a defendant of care jacking is required at minimum to impose a sentence of 21 months in prison. That’s almost two years, and that’s assuming no weapon was used (which is almost never the case) and no one was hurt. Usually, these penalties are applied to unarmed accomplices. If defendant uses a weapon in commission of a carjacking, the crime is elevated to a Level 9 offense. That automatically boosts the minimum mandatory sentence a judge must impose to 4 years in prison. There is another consideration one has to make in any carjacking case, and that is how Florida’s 10/20/Life statute is going to come into play. Minimum 25 years behind bars if someone is injured or killed by that firearm. If the firearm involved is an assault weapon or machine gun, the penalty even further enhances to 15 years, 20 years or 25-to-life. The law is applicable regardless of whether the weapon was an element of the crime. All prosecutors are required to show is defendant possessed a gun while carrying out this crime. There may be a number of applicable defenses to carjacking cases, including claim of right defense (where taker has good faith belief he or she is the owner and entitled to immediate possession). To learn more about your legal options, call us today.